Study of a Passage from the Book of Mark research papers discuss different aspects of the book of Mark from the Bible such as the limits, authorship, and historical time frame. Paper Masters has theology writers that can provide a study of any passage that is taken from the Bible. Below you will see an example of how to set up a study on a passage from the book of Mark. You can use this as a guide for writing your own Biblical study of a passage or have the writers at Paper Masters illustrate, in a custom written project, how to write a study passage on any passage in the Bible. His miracles numerous by this time, the incidence of Jesus’ unmitigated and marvelous healing of the diseased woman revealed in the passage of Mark 24-34 demonstrates His divine power as well as the recognition of his preeminence by individuals from all pathways in life. What is new is the narrative engagement of all kinds of people in the unfolding story of Jesus. 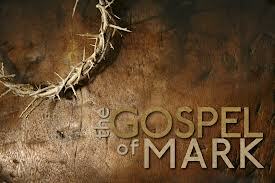 The gospel of Mark tells us not only who Jesus is, but what it is to be involved with him. The limits of the selected passage are demonstrated only by the fact that it pertains to the miraculous healing of the diseased woman and submits no major focus on the events preceding or following it, except for the confirming confidence in and following of Jesus by Jairus – “so he went with him” (v. 24). The passage was personally chosen for its significance in demonstrating the act of faith and, more specifically, in demonstrating the example of utter confidence in Jesus healing power for all across gender, culture and social status. The Gospel according to Mark was written by Mark and manifests its priority in accounting the life and miracles attributed to Jesus in its content and by the fact that both Matthew and Luke make identifiable use of the account. Although there is no textual indication of the historical timeframe during which Mark’s account is written and/or completed, historians and theologians submit that the gospel of Mark, close to the fall of Jerusalem, was finished by approximately A.D. 65 or 70. The first of the four canonical gospels, Mark was written in Greek. Jesus the Teacher - Jesus the Teacher research papers overview the teachings of Jesus according to the Gospels. Paper Masters' teaches you how to write a term paper. Teachings of Jesus - Teachings of Jesus research papers discuss the Gospels and what Jesus taught in the Bible. Jesus' Public Ministry - Jesus' Public Ministry research papers tell the history of Jesus Christ and his teachings according to the Gospels. Paper Masters writes custom research papers on Study of a Passage from the Book of Mark and discuss different aspects of the book of Mark from the Bible such as the limits, authorship, and historical time frame.